We have a very active weather week ahead of us, so I hope that you've enjoyed the dry and quiet day that we've experienced. Flooding, snow, and severe thunderstorms are all likely over the next seven days, so let's go over the latest. •Tuesday-Wednesday night: I think much of the day stays dry before heavy rain moves in tomorrow night. Temperatures tomorrow night will be close to freezing, so there is the potential for some snow to fly around. The data earlier was showing the potential for some accumulating snow, but the best chances for any accumulation looks as to be north of the Western Kentucky/ Bluegrass pathways. The main story is the flooding potential where one to three inches of rain is likely by Wednesday night. The National Weather Service has issued another Flood Watch for this reason. Remember that a Flood Watch means that conditions are favorable for flooding, especially in flood-prone areas. If you live in a flood-prone area, make sure that you are monitoring the latest weather conditions and forecasts. 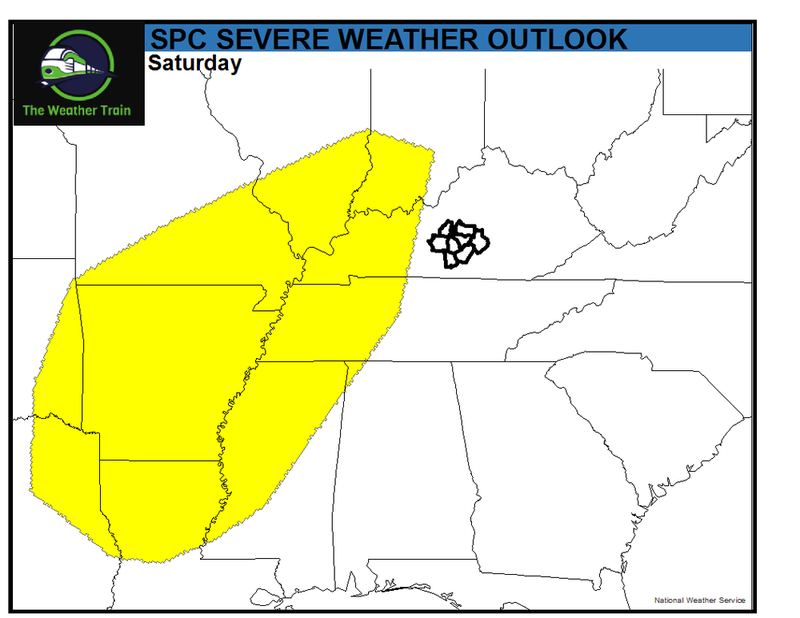 Looking ahead toward the weekend, I’m monitoring the potential for severe weather. Right now, our area isn't included in the Storm Prediction Centers risk area. But this risk area six days out is significant and is close enough to our area to pay attention too. The highlighted risk highlights the western part of Kentucky and would indicate the potential for demanding winds and a few isolated tornadoes. Ill have a fresh update in the morning, have a great night!